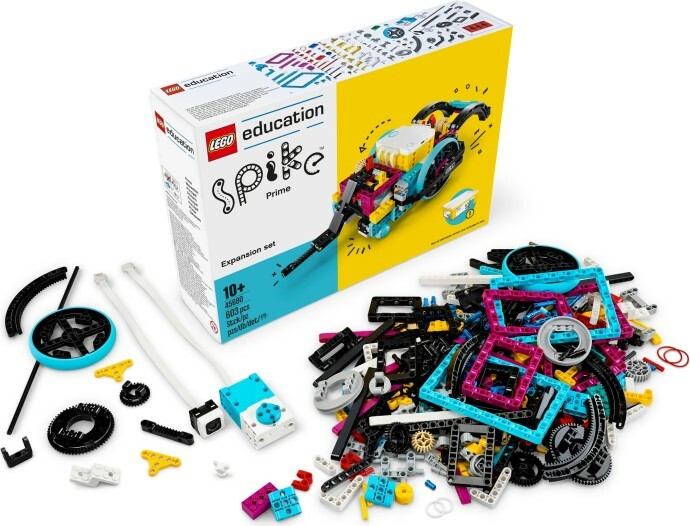 Yesterday's announcement of the new LEGO Education platform SPIKE Prime revealed several new elements that are worth examining in closer detail as it's likely that many will find their way into Technic sets in future. The heart of the system is a new hub, which has 6 i/o ports and a 5x5 LED array on the top for displaying faces or other patterns. I'm told it can be operated while tethered via Bluetooth to a tablet, and autonomously like Mindstorms, which is great news and something sorely missing from Boost. There are two sizes of motor, the larger of which at the back looks to have independent outputs on two sides, much like the Boost hub. The three sensors appear to be a touch switch, a colour/light sensor and a ultrasonic distance sensor. 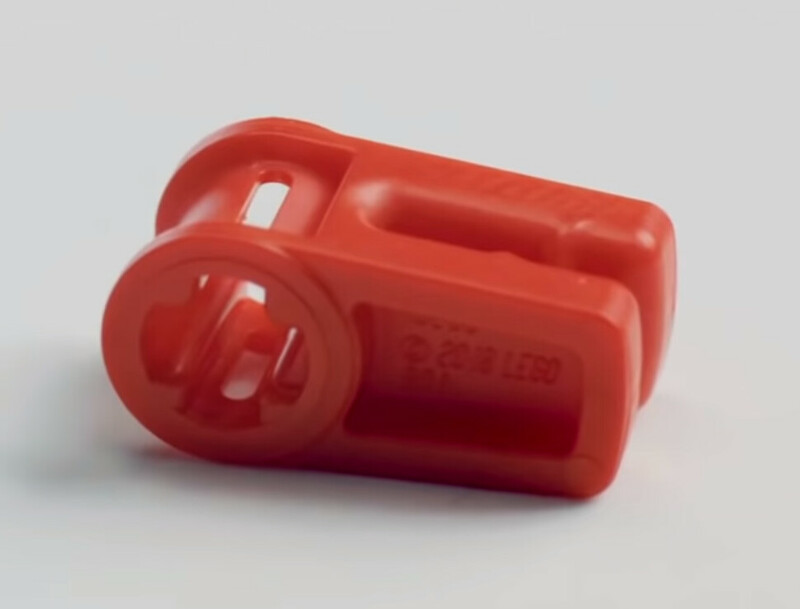 They connect to the hub using the same plug as WeDo and Boost and the inventory on the box lid, below, suggests that there is also an extension cable included. This will make it mch easier to interface System and Technic parts and it looks as if all the 2x4s in the set will be this type. They are fitted with low friction tyres which will make them move more predictably. This 3x3 part which has already been given the nickname 'biscuit' looks to be exceedingly useful for multi-directional building. 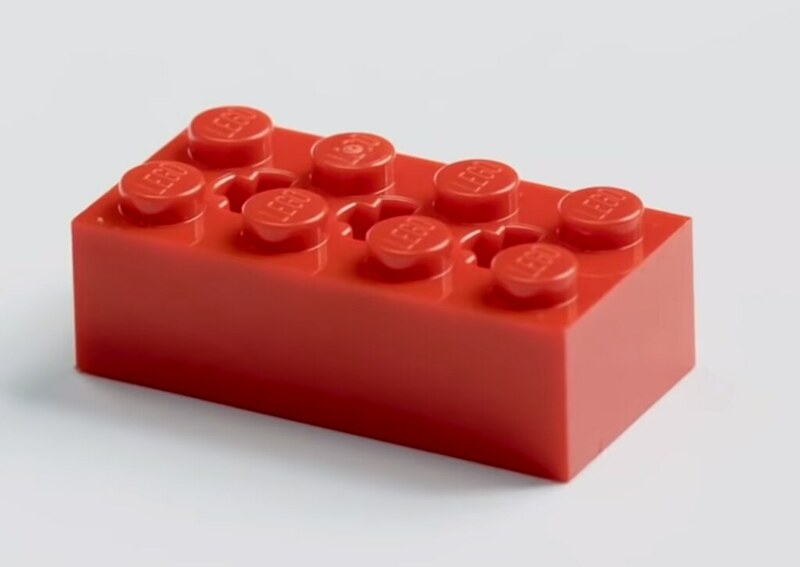 It can already be ordered from LEGO's replacement parts service in magenta and black (design ID 39793) and was the subject of an elaborate not-April-Fool's joke by New Elementary. This is not something I've ever felt the need for but I can see that it will be useful to get going with building quickly rather than faffing about working out how to connect things securely. It looks to be 11x19 in size. This isn't shown separately in the video but it's designed for use as a follower castor wheel on robot chassis. A useful piece for keeping wires tidy, something that's hard to do in Boost, for example. The new grey gear which, again, is not shown clearly in the video has 28 teeth, so half-way between the existing bevelled 20-tooth and 36-tooth ones. Among the photos taken at the event is one of an expansion pack which looks to contain more of the same sort of elements. You can see the ball and socket castor wheel on the corner of the model. This is all very interesting and almost certainly shows what a Mindstorms replacement (if this isn't it) might look like and also perhaps what the motors in the new Technic Control+ models might be like. From an education perspective It looks to be excellent. I help run a computer club for kids ages 7-12 and we currently use WeDo, which is great, but a bit restrictive as it only has one motor and two ports. We've considered using Boost but the models are too complex to build and program in a 1.5 hour session. There's also a bit of a learning curve with the software, although to be fair not much of one. 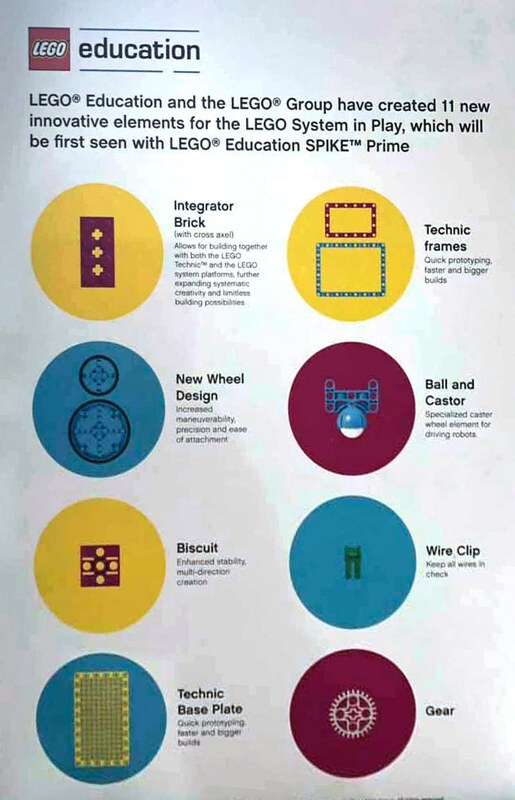 Spike addresses both these issues: models are quickly assembled, then programmed using software every child in the UK is familiar with: Scratch. I therefore can't wait to get my hands on it! To clarify: the LED array is 5x5, and the hub is capable of autonomous behaviour (like MINDSTORMS) as well as tethered (like WeDo and Boost). Excellent, thank you. Do you suppose this is Mindstorms' replacement? 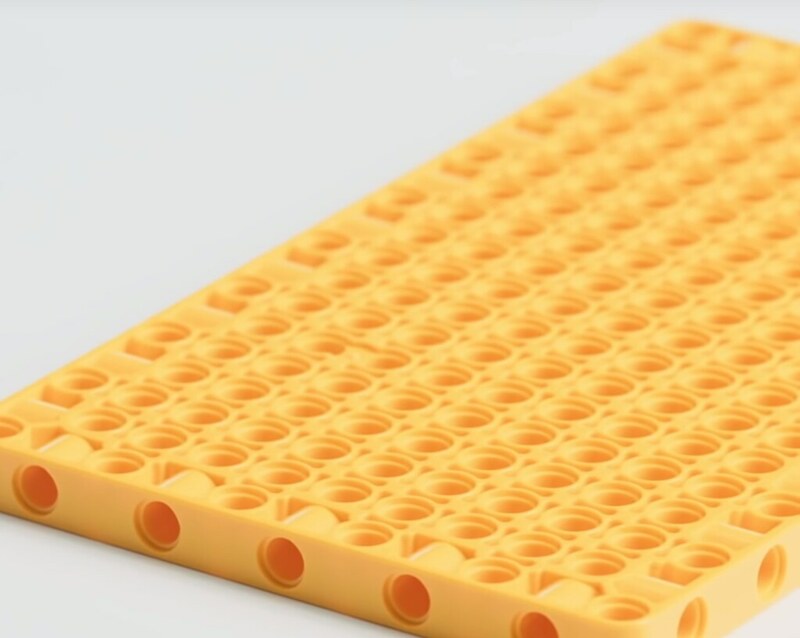 If that connector is a "biscuit," the baseplate should be called a waffle. The baseplate looks more 11x 19 to me. These new pieces (excluding the 2x4) remind me of the Znap theme... but their bulkier cousin. It probably has a lot to do with the colors. I don't think it will be Mindstorm's replacement. LEGO really just likes have 5 different robot systems. It's much easier to make money that way. Let's hope this is not Mindstorms replacement. EV3 has 4 inputs and 4 outputs. This has 6 I/O total. That would be a serious downgrade in capabilities. Somehow I don't like the colors used in that set. Why is "every kid" in the UK familiar with Scratch? Or is that a cultural joke that I'm not getting? ^^ Because it's taught at an early age in primary schools. I know BIONICLE MOCists are gonna love those Technic Frames and Biscuits for creating boxes and crates in their displays, looks straight out of BIONICLE Heroes. A Technic Baseplate. It looks... gorgeous. 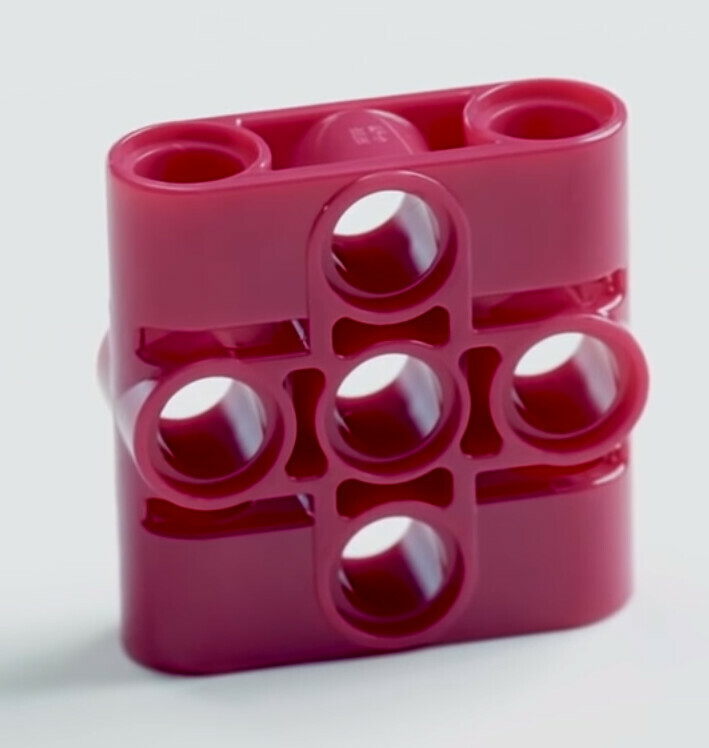 I don't know how LEGO hasn't done something like this before, having a solid core/foundation is important for any model, and this looks like a very good core! 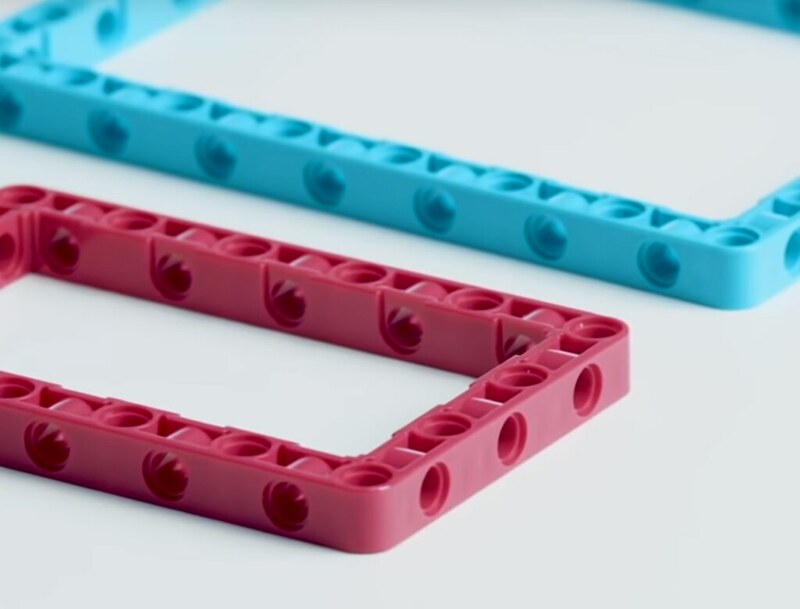 That baseplate is genius in a way. Is there a language in which "castor wheel" is correct? Because in English you call those things "caster wheels". @Polynices - Either spelling is acceptable but I think 'castor' is more common within the UK. ^ Yes -- I checked before posting. I opted for the British English spelling, as always. Regarding SPIKE Prime (convoluted name!) being a MINDSTORMS replacement: I don't think so. The SP hub has, like stated above, less ports (albeit multi-purpose, whereas the EV3's 8 ports are either input or output), and also less storage capacity, processing power and display capabilities. In Portuguese, castor = beaver. These will be useful for MOC'ers for sure. @AVCampos, I wouldn't assume that any replacement for Mindstorms is necessarily going to be equivalent to it, or more powerful: after all Control+ looks to be a retrograde step compared to Power Functions in some ways. 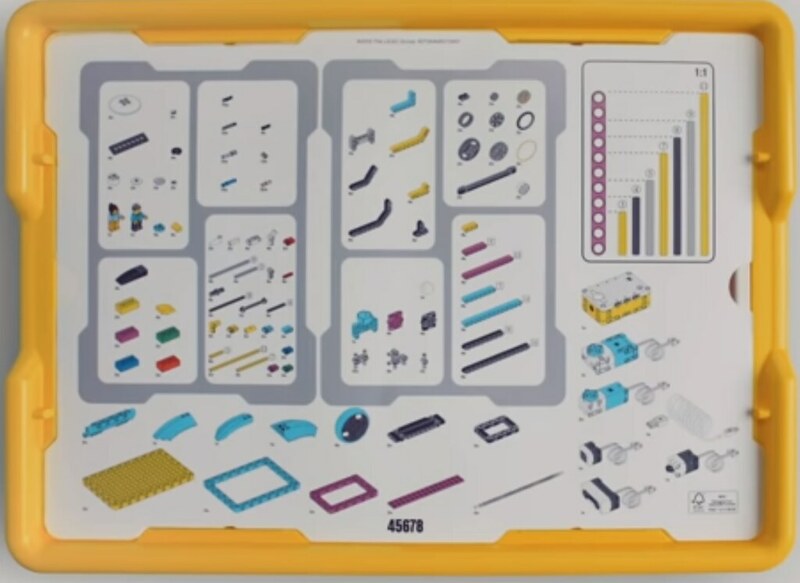 I'm very excited for these new technic pieces, but not the frames. It's possible to get technic pieces stuck in them such that they can't be removed through traditional means. Not something I'd consider ideal when you're being encouraged to be creative. I'm digging the new parts and I like that they stuck to CMYK as the color scheme. Also, Replacement Bag (seen 1:18-19 here: https://www.youtube.com/watch?time_continue=2&v=4fShCr2WGDU ) ... I'm curious if that is included as part of this kit or separately? Also I believe the other cable included is a USB charging/connection cable rather than a peripheral extension cable. Whether it is Caster or Castor, it's all Pollux. Think for me the technic baseplate will be very useful but I can imagine it may be too large for what I am imagining. Hopefully some smaller versions may emerge in time. Speaking of new parts, I hope Huwbot isn't too tired from the Clikits posts to pull new inventories from the service site, because the new sets are up there, and I'm looking forward to seeing exactly what's a new colour (or even element). @Mr Hobbes, sorry, my wording is not clear: I meant two independent motor outputs rather than 2 i/o ports. @paulmison, thanks -- the script usually runs early on a Sunday but I'll kick it off overnight tonight. I've always wanted to try LEGO robotics, but now the sheer number of different systems and components being introduced every year is completely turning me off this idea. @David1985: Are you serious right now? Do you have any idea of just how many electronic parts/sets LEGO has LOST money on? Spybotics, Kek Powerizer, fiber optics, micro-motors, monorails, etc. Now that their designers are held more accountable for their production budgets, it’s no longer something they take so lightly. That said, from every indication these are part of the same “Powered Up”/Power Functions 2.0” system as Boost, WeDo, last year’s City Trains and App-Controlled Batmobile, and this summer’s Technic Liebherr 9800, etc. The only major differences in these sets are the software used to run them and whether the components are designed with mainly System connectors for younger builders (WeDo, Boost, etc.) or Technic ones for older builders (Spike, the Liebherr 9800, etc). But the plugs are all the same, and presumably the more advanced and customization-friendly control software will be able to use the full range of sensor and motor elements. Already, the individually sold Smart Hub set description says it can be controlled via the Powered Up app, suggesting a future app update that lets it control builds using that element. In that respect, if this system does replace Mindstorms EV3, it is a shift towards more standardization, not less. Christian Faber, creator of BIONICLE, posted an image on Instagram on April 1st teasing a BIONICLE Gen 3. At first it was passed off as an April Fools joke, but after the 1st people asking for clarification found out Christian ISN'T working with LEGO on anything, but is working a project that has something to do with BIONICLE. It's not an official LEGO teaser, but it's from a former LEGO employee and based on a LEGO Independent Property, so it might be considered LEGO news? Perhaps? My first inclination upon seeing the 11x19 Technic baseplate was to call it a breadboard. I can see it working well as an analog version of the electronics prototyping breadboard, a way to design your Technic mechanisms before incorporating them into a MOC. I’m almost sure Spike will replace Mindstorms EV3. 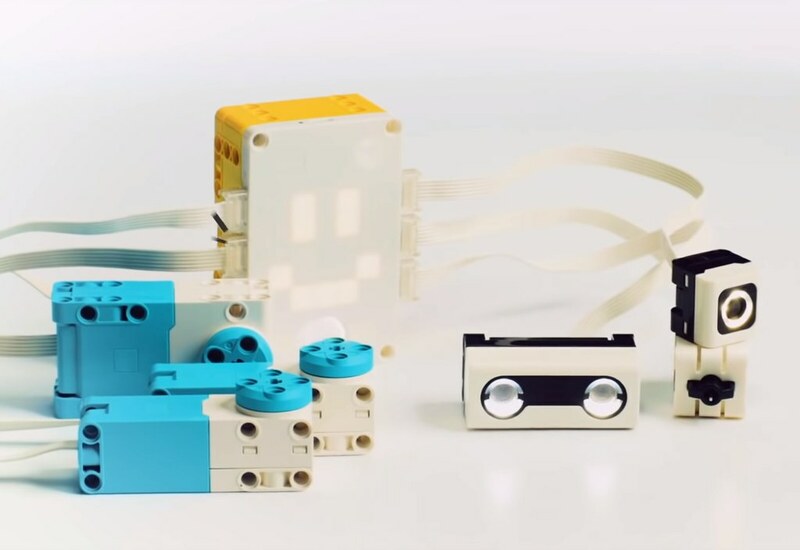 EV3 has been discontinued in the (German) Lego [email protected] a few weeks ago, there are only some spare parts still available. I doubt Lego will release two completely different robotics controllers in the same year, although I hope I am wrong. Spike does not look bad to me, but feels like a bit of a step backwards if it is to replace EV3 - which is six years old I think so probably at the end of its life cycle. That said, I like some of the new parts, that biscuit looks really useful for example. @Huw that “extension cable” looks like an USB cable to me, “A” plug to mini/micro plug. ^ Yes I think you are right. Scratch? Interesting. Never heard of it. Also interesting that it is in such widespread use in children's education in the UK. Unfortunately this doesn't seem to be the case over here in Germany. None of the schools my kids go to/went take part in this program (yet). @Gatschonga Namely Micro USB. And it's also used to charge the battery. ^^ It's here https://scratch.mit.edu/ and is partly funded by LEGO. It's very simple to get started with, but also very powerful and extendable. Not as interested in the Caster Castor Scratch Beaver Pollux as I am the Biscuits Waffles & Pancakes. LEGO should look at VEX robotics as a production model going forward. At this point LEGO has too many languages and proprietary systems for their Mindstorms, Power Functions, etc. It really needs to be streamlined into one overall programming language and make all of these be interchangeable and easy to combine. The way that LEGO is currently running this, it will be discontinued in the not too distant future and people will look back and talk about how it could have been more successful if only LEGO hadn’t gone and made everything so overly complex. This does look very interesting, some of those new parts are definitely so! Though I hope this isn't the successor to Mindstorms, it looks a bit too simple to do that.